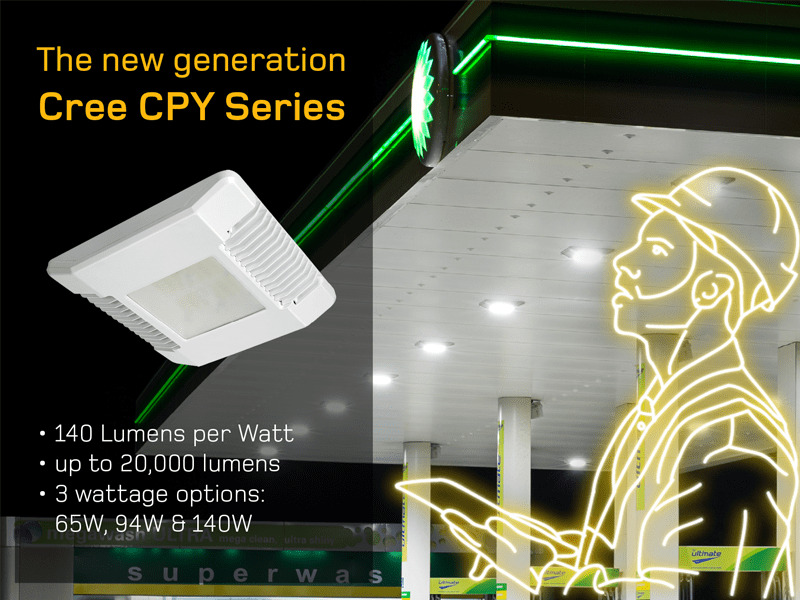 The next generation of CPY Series offers superior efficacy, up to 140 lumens per watt and a delivered light output of up to 20,000 lumens. Available in 65W, 94W and 140W options. Already an industry favourite, the CPY Series has a lot to offer. With an extremely thin profile constructed of rugged case aluminium, it can be surface mounted from the below the canopy deck and also pendant mounted. Retrofit of existing metal halide luminaries is designed to be quick and simple. The new generation model offers these same great benefits plus saving on energy costs, thanks to the improved efficacy and various wattage options. Copyright © 2019 Advanced Lighting Technologies. All rights reserved.